The introduction of VDMA “Blue Competence” has been met with excellent feedback and praise. Reis Robotics has established that it is possible to save plenty of energy even in the very energy-intensive die casting industry without a negative impact on the products. The following article, with the specific example of Pierburg, demonstrates. Increase of energy efficiency is possible in very many areas of automation technology. This begins with the robot and its power consumption through to the control systems in the robot that may contribute as energy managers, controlling the various systems involved in the process so they will not consume more energy than necessary. High process know-how on the part of the automation specialists is a precondition for this, as Blue Competence also is a question of consulting. Reis Robotics, a turnkey supplier of total systems, is able to offer solutions optimizing the complete process and integrating all connected systems - not only robots - in a central control arrangement. Experience shows that it is not the robots that are the biggest energy consumers, but the entire peripheral equipment. Potential savings in the foundry are not evident at first sight. In fact, metal is molten and then injected into a die with high pressure. How can you save anything here? Reis Robotics measured and examined this, and the results are very surprising: more than 40% of the energy consumption takes place in standby operation without the production process itself, in foundries that are not yet optimized, and the robot is one of the lowest consumers in this! In many cases, systems are not switched off in standby operation between the production cycles and continue to consume energy. Analyzing a conventional 800 ton standard casting cell, the trim press alone in standby operation consumes about five times as much energy as all other peripheral units. Annual energy costs in the five-figure range may soon arise without having anything produced. If you consider that the effective production time makes merely 60% of the total duty cycle, the saving potential becomes evident. Dr. Michael Wenzel, general manager of Reis Group Holding, states, "We, too, were surprised how much energy is unnecessarily consumed in some systems; and this is just where the competence of Reis becomes effective, because the final question is how to optimize the energy consumption for an entire process or system. This step is only efficient and economical if optimization itself does not cause new high costs." Pierburg in Nettetal, Germany, used numerous die casting processes for many years. In view of rising energy costs and an anticipated move, the plan arose to optimize the automated processes regarding cycle time and the use of energy. All operations were put to the test. The idea was developed to split punching and trimming into two steps so that after the rough cut, the fine cut will run free from faults. Air cooling of the castings also turned out to have improved in the project since during further processing, no blast agent will stick to angular, still moist contours. The goal was development of a flexible standard cell for a multitude of products saving energy wherever it is not needed. In the project with Reis Robotics, a sample cell was created that distinguishes itself by considerable improvement in energy efficiency. 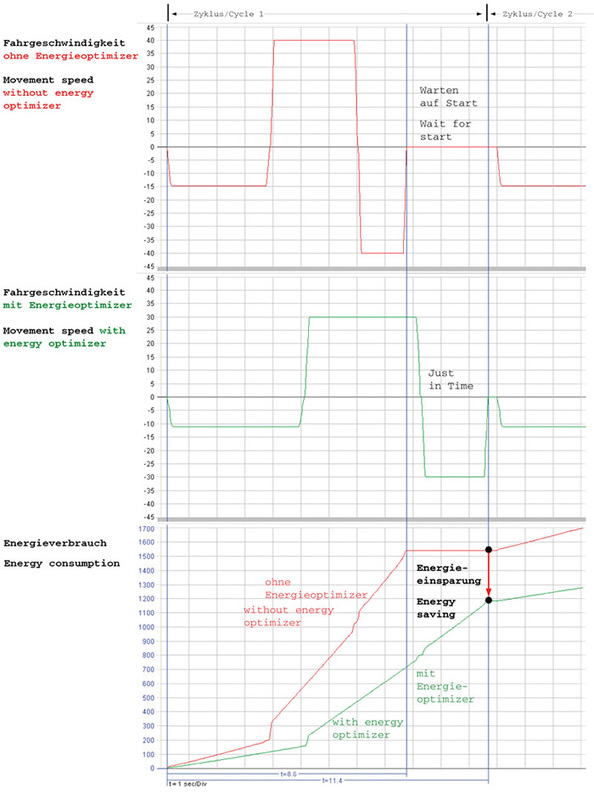 Detailed energy consumption analyses were made by Reis before using the cell. The resulting findings were utilized in the project with regard to energy saving. Prerequisite for optimal energy saving was a superimposed control level being able to map the most diversified products and to vary the cycles for all connected system components and peripheral units accordingly. The idea was generated to develop a so-called head control with freely programmable production sequences together. Depending on product, paused system parts can enter a sleep mode operation. For instance, to switch off those drives that are not needed at the moment saves a lot of energy. The suction hood over the casting machine, the press drives, the robots, and the cooling fans are switched off at the push of a button on the central operating unit or automatically by the central controller. Additionally, there are weekend and pause buttons to centrally switch off all media, drives, and lights. Due to this innovation in automation technology, Pierburg is realizing an energy savings of up to 30%. First, energy is used for the melting process and casting itself, then additional energy is required for cooling of the parts before further processing. Reis Robotics established that considerable energy savings can be leveraged by an intelligent control. In quench tanks, Reis more and more often uses thermostatic cooling water controls and automatic switch-off of the cooling water circulation in order to not waste this energy. And, a certain casting residual heat is absolutely desirable for fast drying of the parts. For cooling of castings with air, Reis Robotics recommends the use of speed-controlled fans and an automatic switch-off at all deposit places in the cooling shelf where there is no casting. In the cooling shelf from Pierburg, there is space for ten castings. Sensors in the shelf recognize when a part is inserted and only switch on the relevant fan for a defined time. Temperature sensors are also possible and have already been considered in the control. At Pierburg, the robot picks the parts from the shelf after cooling and feeds them to the next work step. Now follows insertion into the two Reis trim presses. Activated by the head control, their drives stand still until a work step is waiting again. A conveyor system transports the scraps into a bucket; from there, the scraps are fed to melting-down. This system part will be switched off as soon as no transport is necessary. 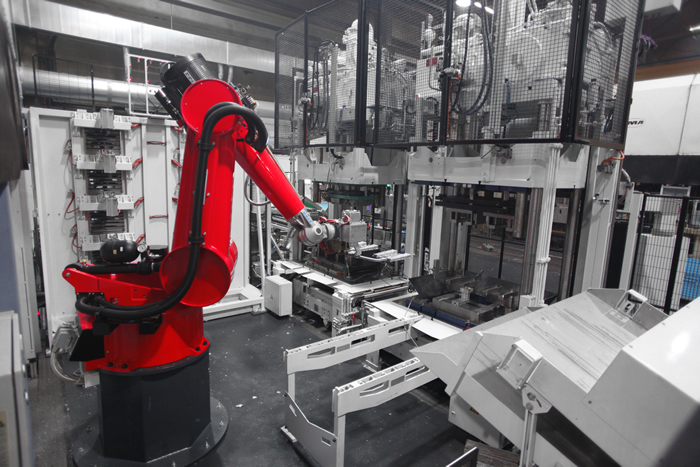 Robots, in an automated die casting cell, comparatively contribute little for energy consumption, yet Reis Robotics made some optimization for saving energy. Generally, the control ROBOTstarV is in a position to switch off the drives of the robot if these are not used. As soon as the control gets the signal for the next work step from the connected peripheral equipment, same will be activated again immediately – comparable to a screen saver. Trim presses from Reis have a so-called load-sensing. This function allows even faster production if the full performance is not required and saves energy. Pumps no longer feed against overpressure valves with full capacity and thus generate less heat loss. Reis also included the motors of these pumps in its consideration. New highly energy efficient motors in Reis presses save the additional procurement costs. The break-even for a 15 kW electric motor is already reached with a service life of approx. 1.000 hours. A 22 kW motor reaches this effect after only 600 hours of operation. The central control of Reis Robotics can optimize the provision of compressed air because same is a very energy intensive and thus an expensive medium. Each savings has an immediate measurable effect on the operating costs. According to experience from Reis Robotics, for some crucible furnace, the temperature may be slightly reduced without impairing the safety or quality of the casting process. 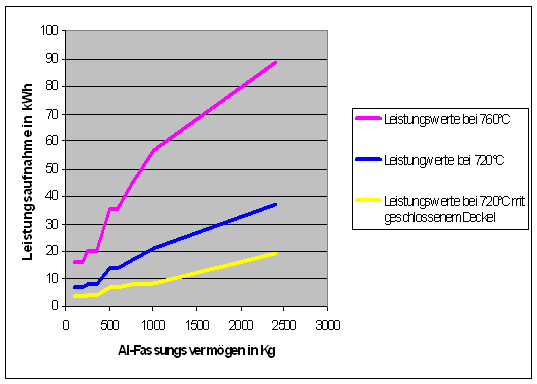 An example explains that more than 50% of energy can be saved in aluminum casting if the temperature is lowered by only 40°C. If the crucible is also furnished with a flap cover during the time when nothing is taken out, additional cash can be saved. Minor lowering of the molten metal temperature and a covering for the crucible furnace can help saving a lot of energy. Pierburg is convinced of the savings and of the production flexibility Reis Robotics enables with the new “head-controlled" casting cell. The responsible parties will use this time before the move for additional tests as it is planned to multiply the flexible casting cell at their new site. Two to three additional cells will be installed at the old site. The foundry management at Pierburg sees an enormous advantage of the controls in the fact that troubleshooting can be made in the program via remote access from Reis, from their Frankfurt-area headquarters, without any travel charges. Thus, the systems for the new site will not only be considerably more economical, and be completely installed for an on-time start in the year 2014. The Reis Robotics group, with international activities, is headquartered in Obernburg, Germany and is a market leader for automation systems in the photovoltaic industry. For more than two decades, Reis has been one of the most important integrators for automation systems in all major industry sectors. In addition to articulated arm robots, the product range also includes linear robots, gantries, horizontal articulated arm robots, and other special robots. Additional products include Try-out and Spotting Presses as well as Trim Presses and Trim Tools.